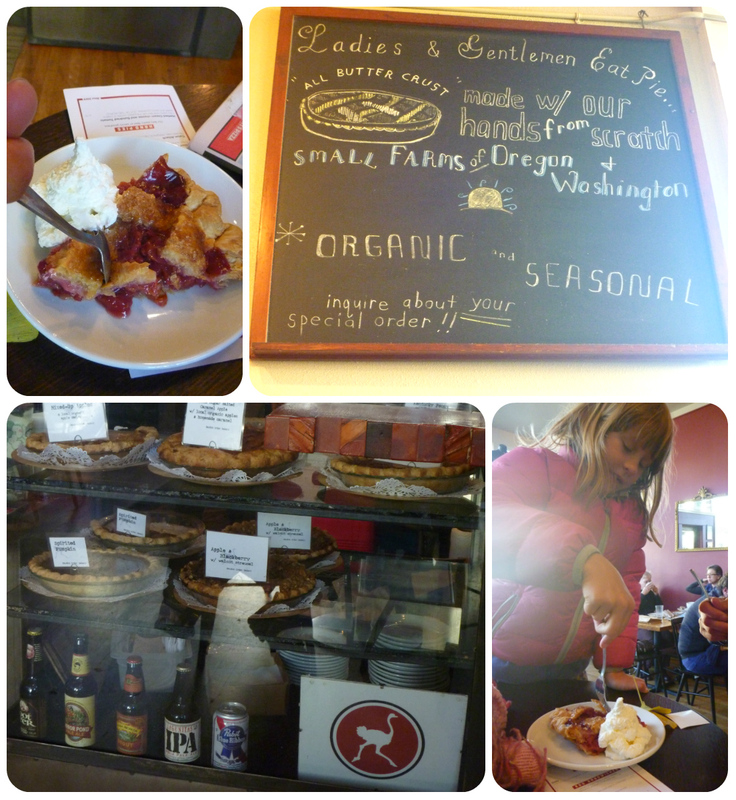 Today we reached the final destination of our road trip – Portland. Woo! We drove in over the city – taking in the trademark White Stag sign, which I didn’t manage to catch on camera. Nor did I do a good job of note taking – my entries here are incredibly scant. 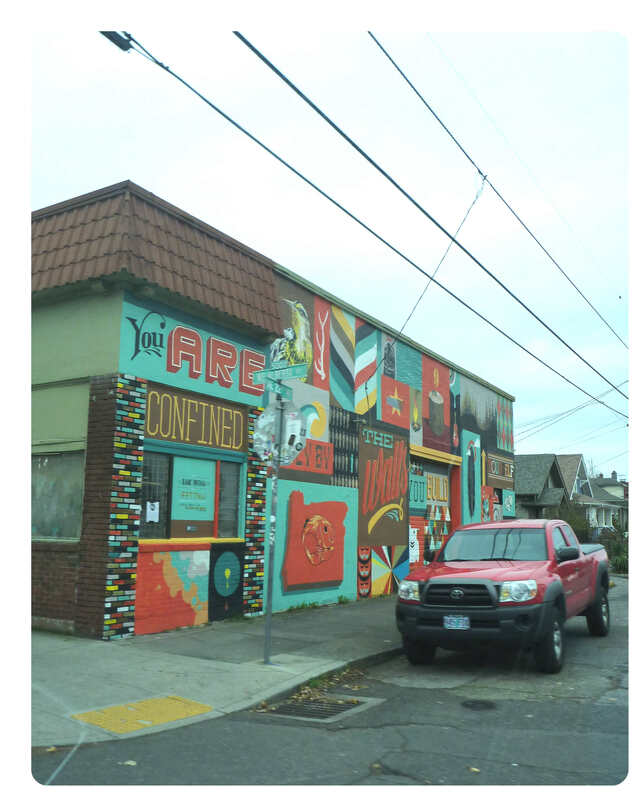 Perhaps I was too busy being taken aback by the place – what we saw and experienced here was crazy cool – Portland bursts with personality. For me, a lot of that was in the community and business endeavours we discovered. So many great new (and not so new) ideas put into action, all with wonderful artistic flair. 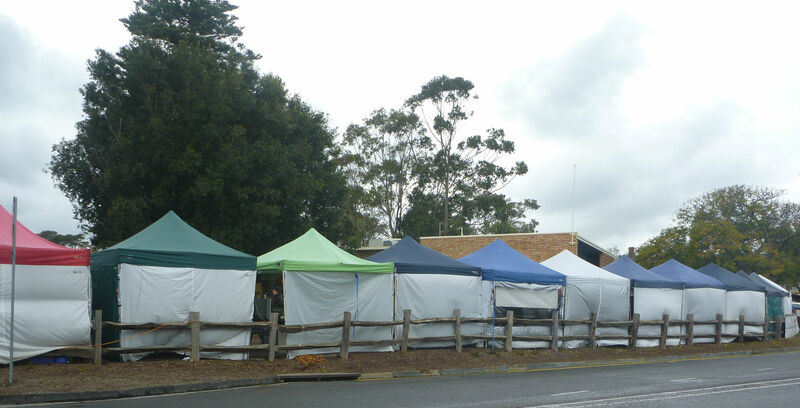 We came across a community farm, community programs, an eco-laundry, a great food co-op and so many places selling either fabulous local food or beautiful arty crafty goods. Phew! 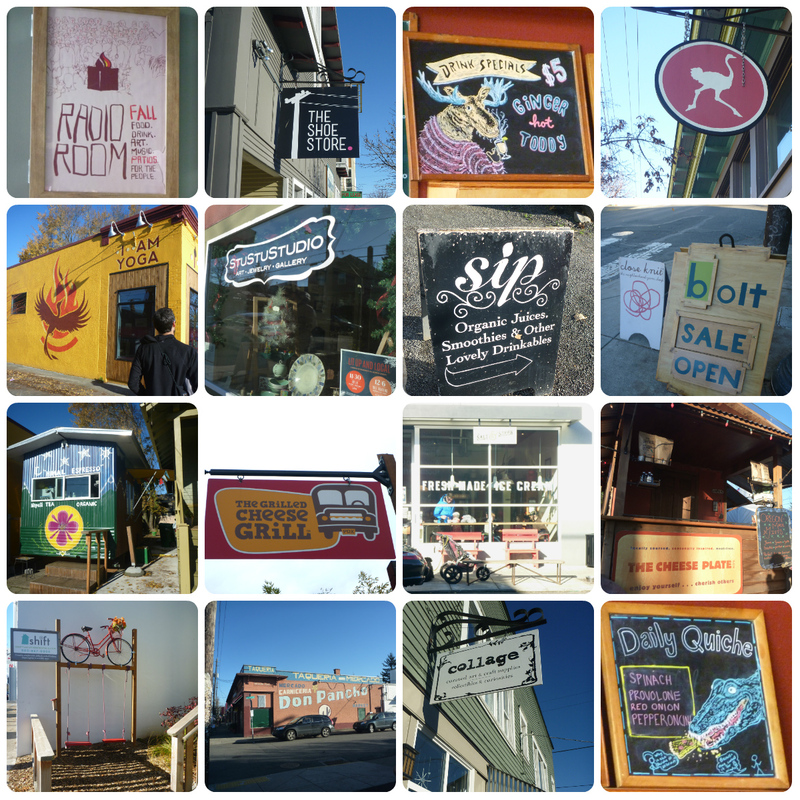 We made it to the ‘Alberta Arts district’, the ‘Mississippi district’ and East Portland. So occupied were we with all that was in these spots, we never even made it downtown. 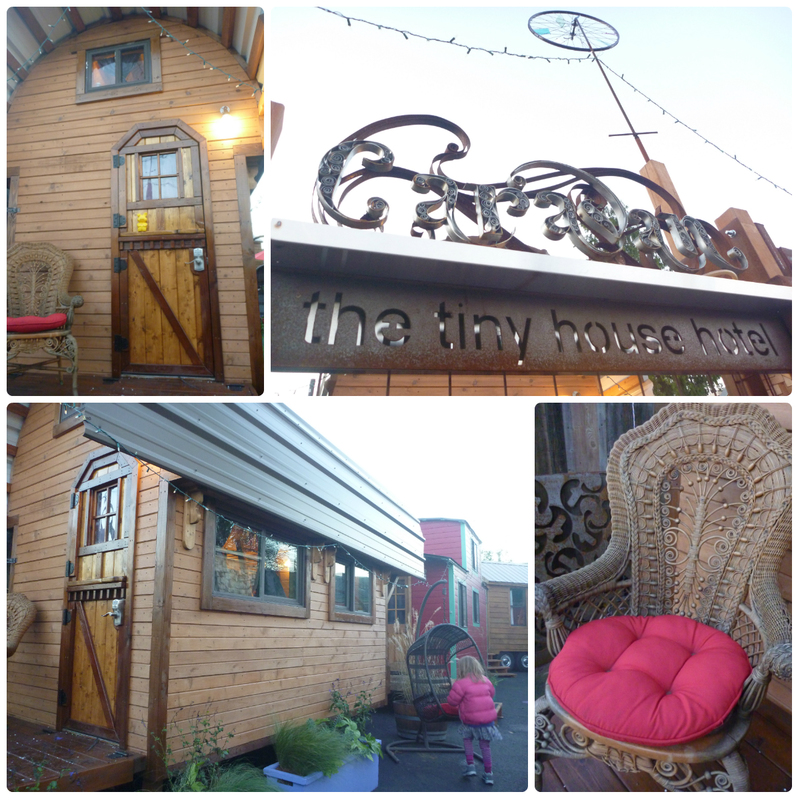 For more info on the tiny house hotel, you can check out Caravans’ general website here. 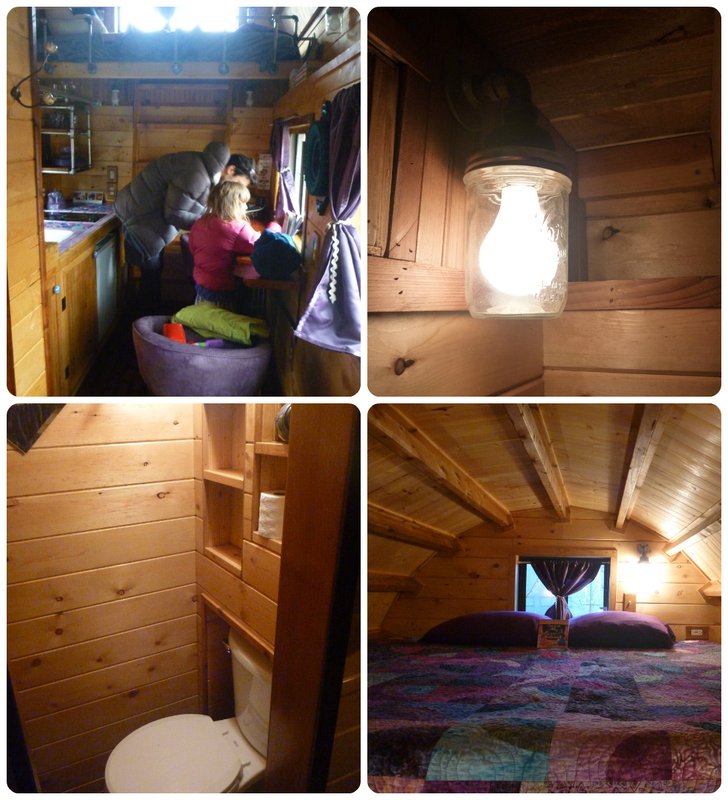 Or see more photos/info on our little home for the night here. They also have an extensive list of media coverage links here – it’s worth seeing, it’s massive! It also includes an episode of the Portland based, wickedly funny show called Portlandia (which, for the record, I didn’t know about when deciding the title for this post…). We spent much time getting acquainted with ‘Roly Poly’ by climbing around and investigating. Yes. Literally. Climbing. In a house that could be the size of your bedroom it’s no wonder there are a couple of lofts upstairs for sleeping, and that getting to things often requires climbing up, down or over. Roly Poly – so named for it’s unique rounded qualities – is one of the smaller homes in the hotel. And for me, the design and furniture made it feel so. However, it was beautifully crafted and with only 1 or 2 people in there it would probably be much easier than it was with us 2 biggies and 1 smally. And regardless of all that, it was a super fun experience. Emma loved climbing all about in there, just witness her hangin’ about over the kitchen. I think secretly though, maybe I loved it more!!! Aside from getting some strength and stretching work in, just by living, there is a great kind of novelty to having nearly everything within your reach. I wonder if it is purely just a novelty or if it turns into one of the pros of a small home. I guess an extended stay would be the ideal way to answer that question. Indeed, if budget had allowed, we would have loved some more time there. Instead we settled on a plan to sleep in our car caravan and started the day with a trip to East Portland, where Zenger Farm, and our generous tour guide Prairie, was to be found. In a space that was open lands in the 1800’s sits the surviving farm, surrounded by encroaching suburbia. What was forest land was logged to help build Portland until it saw a series of owners and eventually turned over to dairy in the 1900’s by a Swiss immigrant family – the Zengers. Their son, Ulrich Zenger, desperately wanted to see the land’s heritage and sustainability preserved. It was eventually bought by the city – keeping and using it’s existing 10 acres of wetlands to help combat the flooding issues fast approaching with increased urban buildings and insufficient drainage. It also had community and educational potential that began to be realised when it was leased out in the 1990’s to Urban Bounty’s owner Marc Boucher-Colbert. 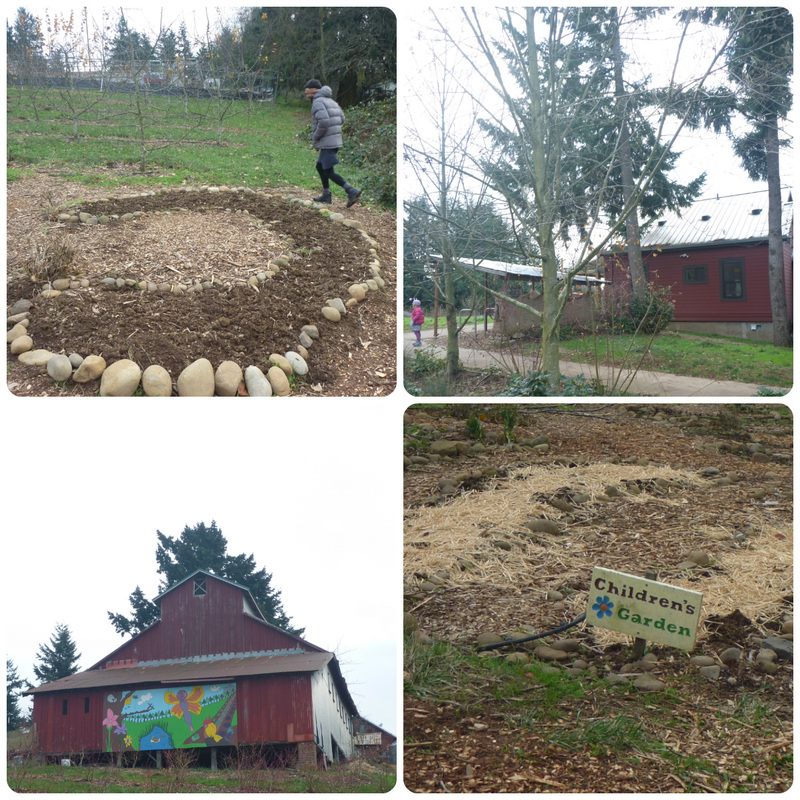 He used the land as a farm but also hosted community and educational events, later forming partnerships with educational institutions in the area to increase it’s use in education. 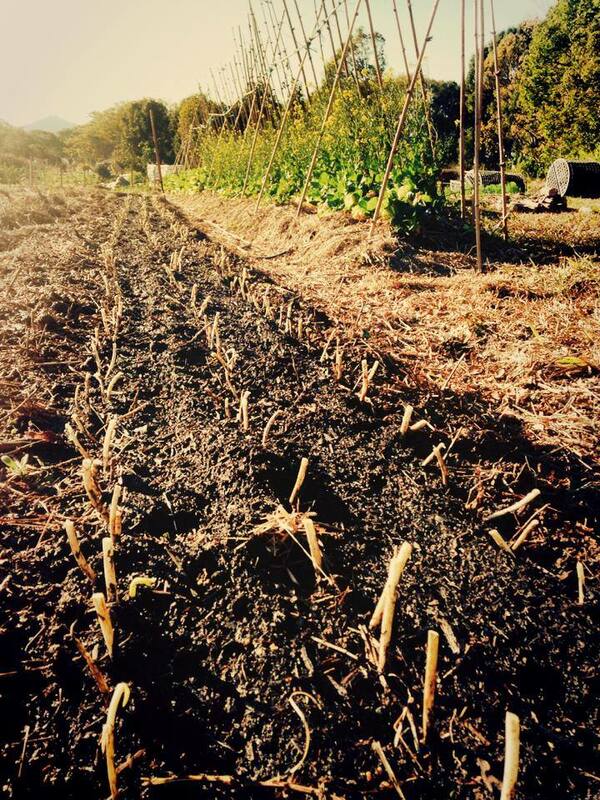 These days the farm’s capacity for serving the community and environment has been expanded and formalised under the direction of a non profit group – Friends of Zenger Farm. This team and volunteers have partnered with the city to officially make it a public space – used as a working model of urban agriculture and education centre for all things sustainable and community. It is a base for a multitude of programs including summer camps, farmer training and a home school partnership. 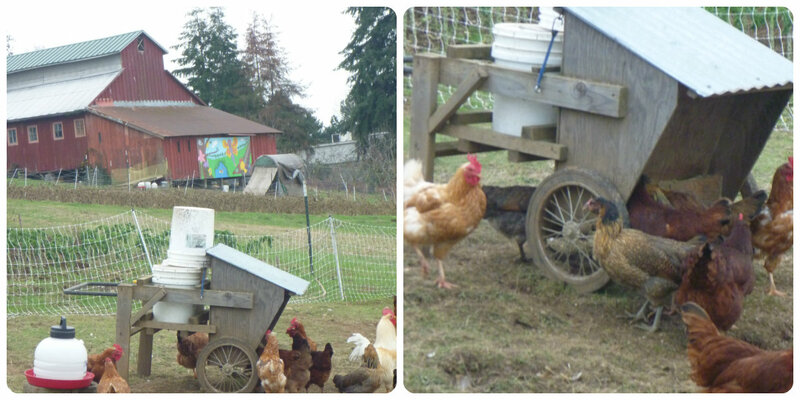 They even run a 60 person CSA and send produce to some local restaurants and farmers market. 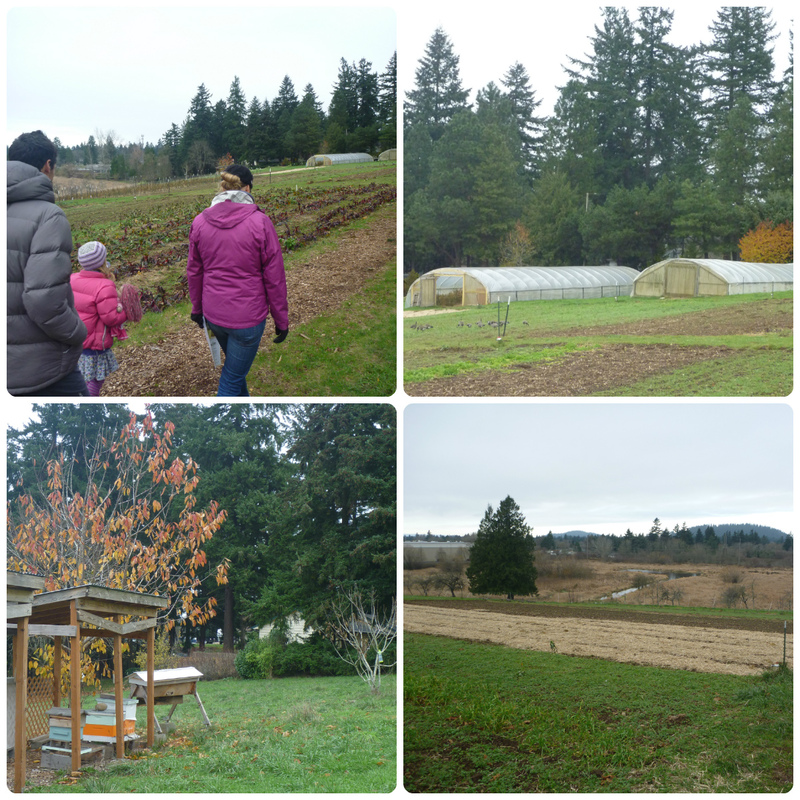 You can see more about Zenger Farm and what they are doing here. 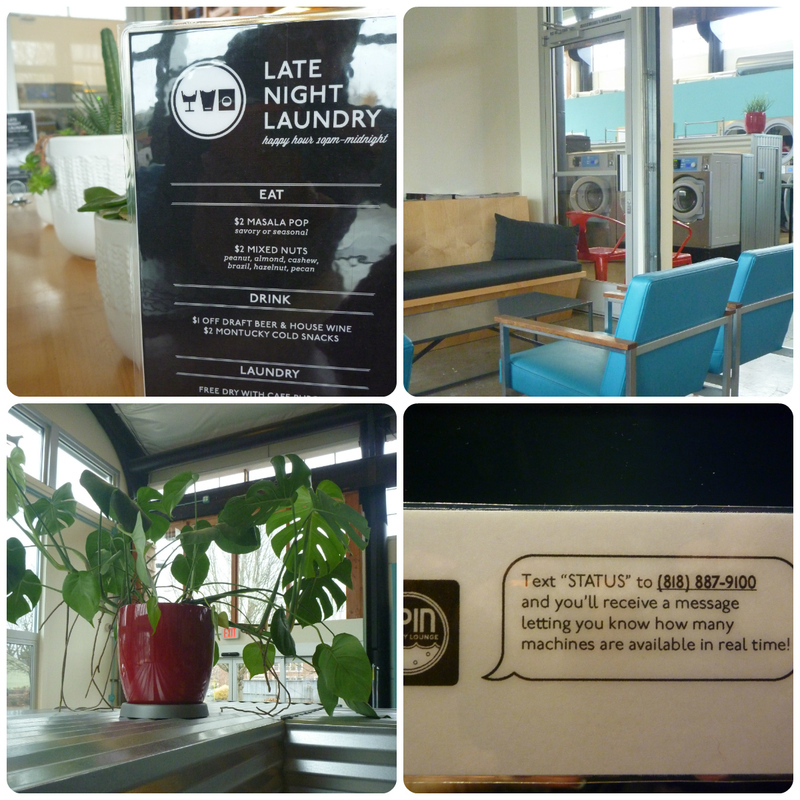 After completing an MBA in Sustainable Business, she [Morgan Gary] set out to give the laundromat a 21st century update: the fastest, most energy-efficient machines in the world + eco friendly laundry products in a retro-mod cafe/lounge, serving local food and drinks. 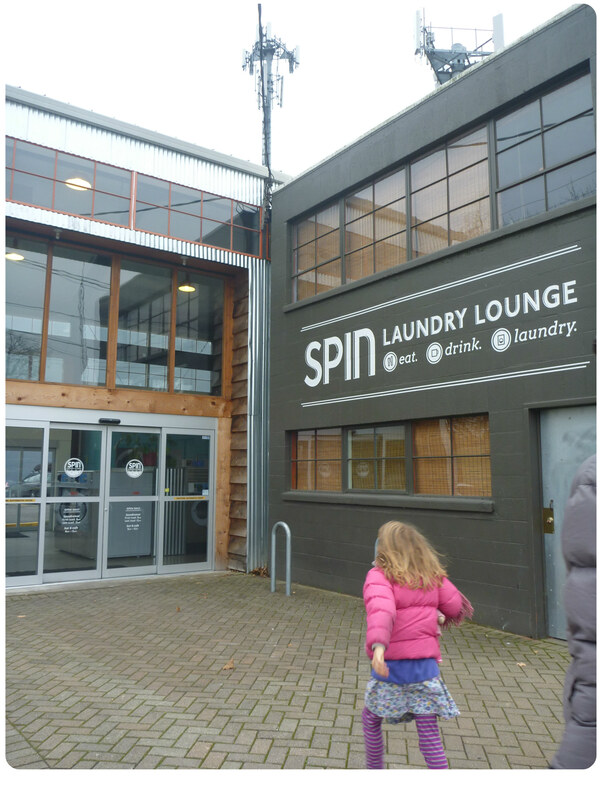 Save time and money, reduce your carbon footprint, and enjoy every minute of Portland’s totally redefined laundromat experience. I mean, they sell microbrews and have arcade games for goodness sake – is that not the coolest way to do laundry ever? 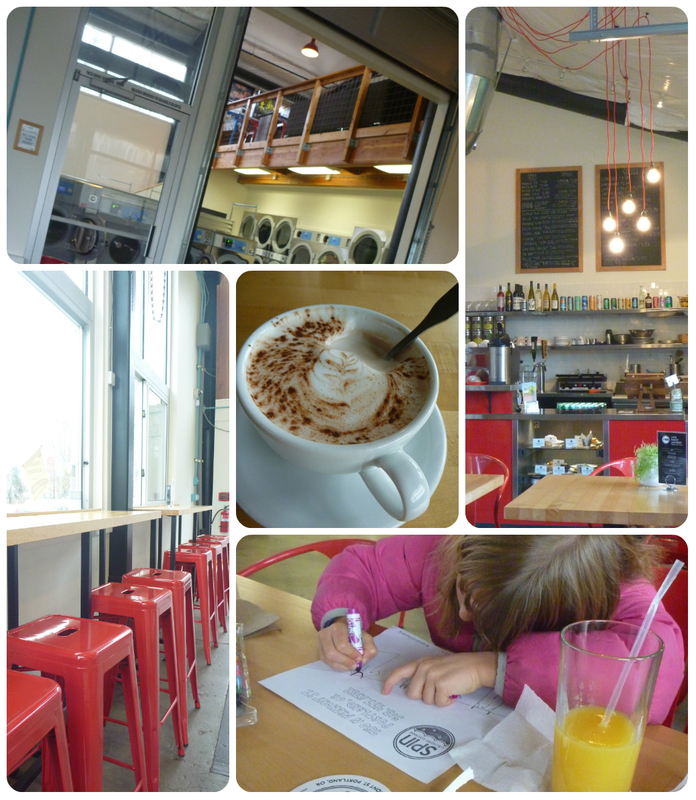 We did our laundry and hung out in the cafe, using the free WiFi and sucking up some drinks. We also chatted to Megan, the lovely lady on staff that day. 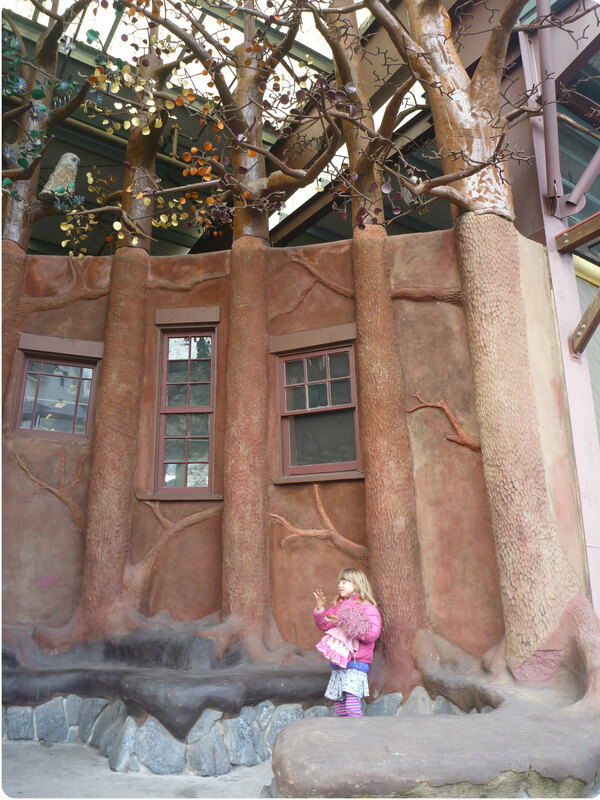 She did a fantastic job of telling us about the place, instructing us on how to use everything and looking after Em with friendliness, textas and spin colouring pages. 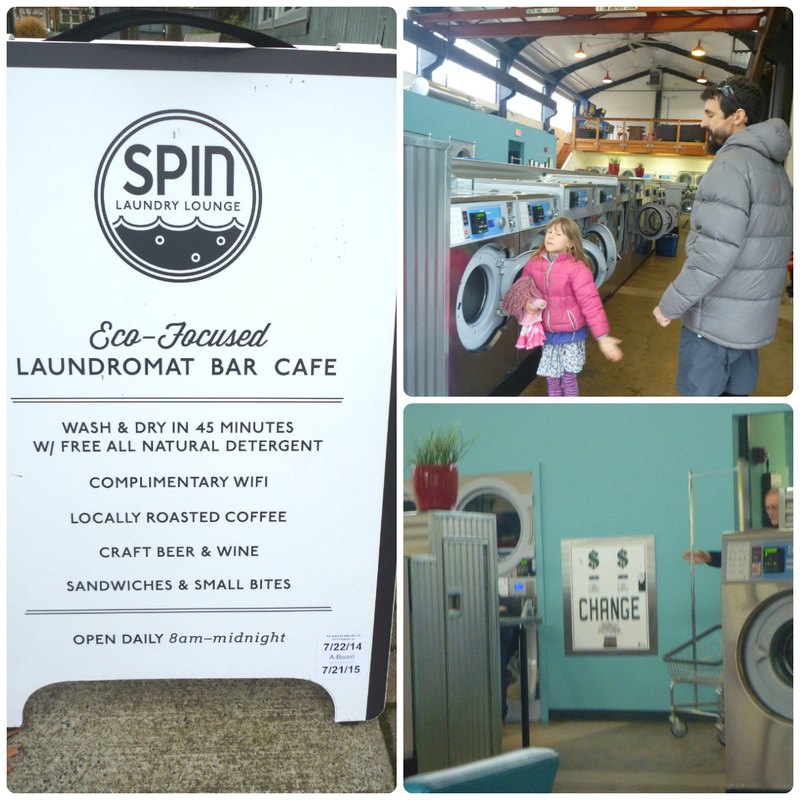 Our laundry was done before we knew it – I didn’t really want to leave… You can see more about it here on the website. In addition to doing laundry the fun way that afternoon, we also meandered down Mission districts’, you guessed it… Mission Street. We also happened across a funky looking building which turned out to be much more than we expected. 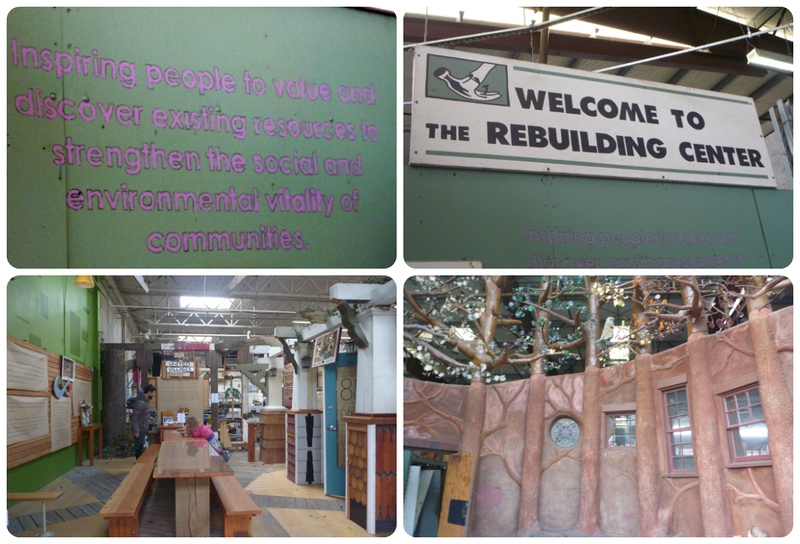 This was the quirky and wonderful front to ‘The Rebuilding Centre’ – a community resource for affordable recycled materials. It’s a great place to find bits and bobs for all sorts of construction, and also to tap into an inspirational ideas library or their deconstruction service – their website is a great portal for all such things, see it here. 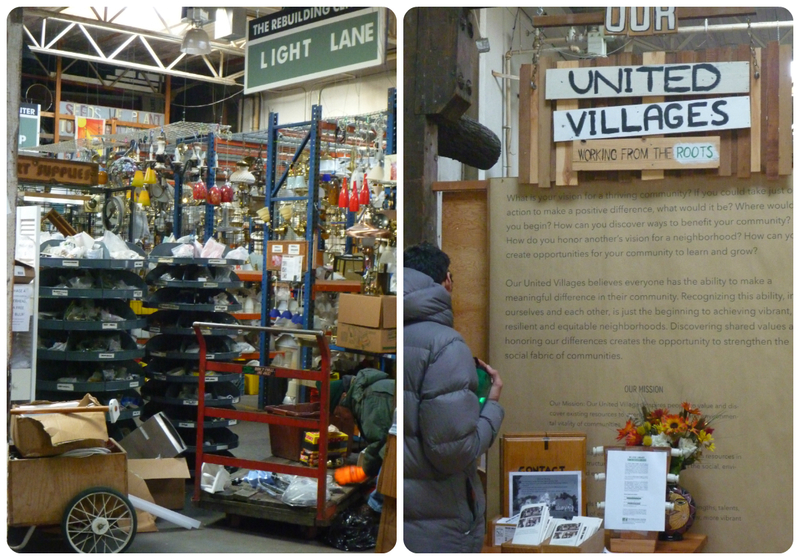 On top of all that, turns out it is actually an income generator for the ‘Our United Villages’ non-profit. Wow! Great place, great resource, great idea. We loved the ‘Community Legacy’ program – a central place, space and imputes for sharing stories that bring the community together. Seems a great way to inspire, forge bonds and spread the word about all those good news stories happening right around the corner! See their website here. After a very full afternoon we returned to Alberta Street and found fate had alternative accommodation plans for us – the offer of a bed from a kind stranger that we kept bumping into. We struck up a conversation and after hearing about the road trip Yonti said there was an empty room in the space she was renting. We were welcome to fill it for a night or two. It was really awesome to see human curiosity, generosity and trust in action. When I said it was very kind, she replied “well, I’ve been on the receiving end of it, and know what its like”. Yonti was right – it made me think about our own feelings after receiving generosity and hospitality – it just makes you want to pass it on. I think to receive is to grow gratitude and wish to pass it on. Here is the first, of many, pledges to ‘pass it on’! It turned out to be a spare room in the basement below a church – cool space! Also, funny to see peoples’ heads at street feet height. Not only was it glorious to have a warm, quiet, full size bed and warm shower but getting to chat with Yonti was like a bonus activity! We had interesting conversations and she passed on many wonderful suggestions for people to see around the place. Sadly, between the other places we visited and the new info intake limit we were fast approaching, we didn’t get to follow up on these. We made a strategic decision to cut some of our plans and slow down. 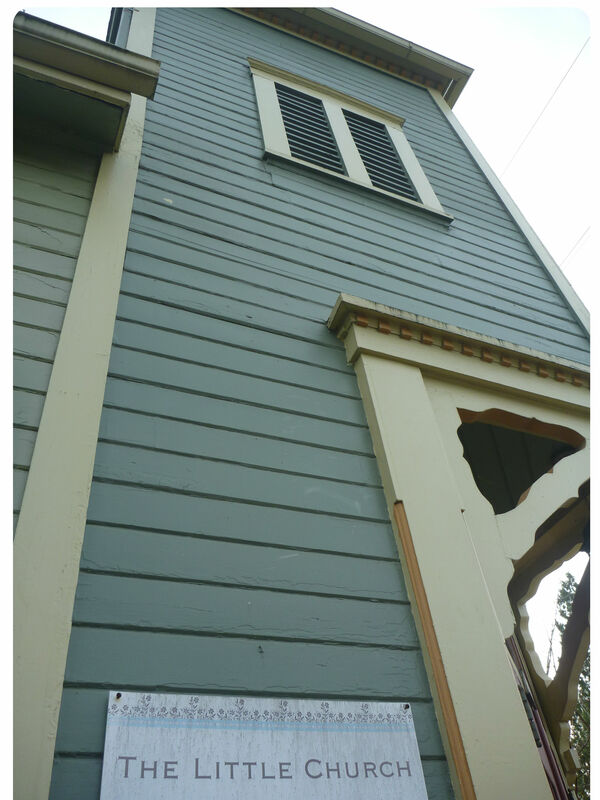 We headed off early to begin our return journey, preparing for the next stage in the area of Santa Rosa – home of the Summerfield Waldorf School. Lastly as an aside, I want to make mention that I am writing this retrospectively, from Nepal. It’s interesting to do so because having now experienced and seen life here as well as India, it is with different eyes that I view some of our previous experiences. What a curious feeling it is. Like Portland for example, I got so excited about the artistic, cool and happening nature of the place, and with good reason of course. However, one might say it’s at odds with the appreciation I now have for some of the simpler concerns and way in which life is carried out in here in Asia. I find it a strange and hard place to sit. 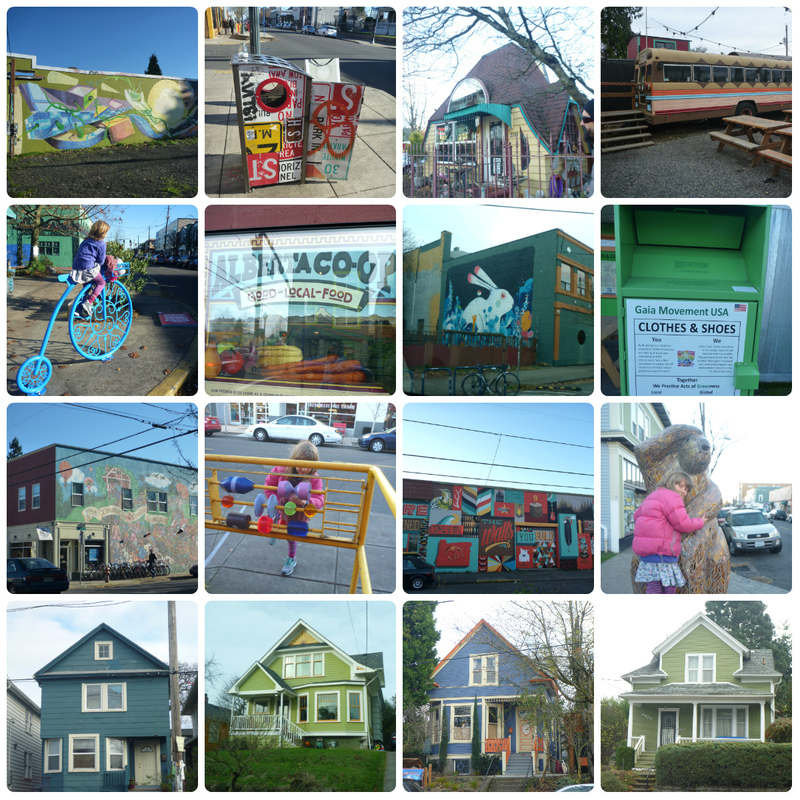 There is beauty in the allure, ideas and aesthetic of what I saw in Portland. There is also beauty and practicality in the simplicity with which people lead their lives here in Asia. I feel like the best way to reconcile this mental rift, as is often the case, is to find somewhere in the middle. I should look for a happy and responsible balance between the beauty and energy of fun, exciting, artistic endeavours while keeping them grounded with a good dose of perspective in the simple and necessary. Wish me luck on the pursuit! So it seems a skills shortage really does exist – its just not the one the government told you about. Our society is set up differently these days. Different doesn’t have to mean bad. It used to be that school was a basic general education so you could then go off and learn what was right for you – granted, the options for employment were also much more limited in previous generations. Nevertheless, it seems like we are specialising kids younger and younger and requiring more and more study – to the detriment of experience and balanced human beings in my opinion. We have seen the social norm go from leaving school early (joining the family business or leaving to earn for the family), to finishing high school, to doing a bachelor degree, to completing something post-grad (Honours, Masters or a PhD). It just keeps escalating – a PhD now seems no more valuable in the job market than Honours used to be, despite the extra 3 years (at least) required to obtain it. I’m not saying any of those are not worth doing or unwarranted – I just don’t think they should be pre-requisites for individuals to be considered ‘educated’, ’suitable’ or ‘worthy’. Anecdotally, it seems particularly rife in America – it is just expected that you will go to college and get a degree – even if you already plan never to use it or go into that line of work. Doesn’t that seem like a non-sensical social norm? Children placate their parents desires and the business of education is perpetuated for it’s own sake. I’m sure it came from a well-meaning place, namely our parent’s desires to see us secure and do better than them, but it’s not the only way! Please realise that, parents and students alike. It also reminds me of several friends in Adelaide who have just up and started small-scale farming projects independently – Wagtail Urban Farm, The Garden Farmers and most recently Sand Road Farm. 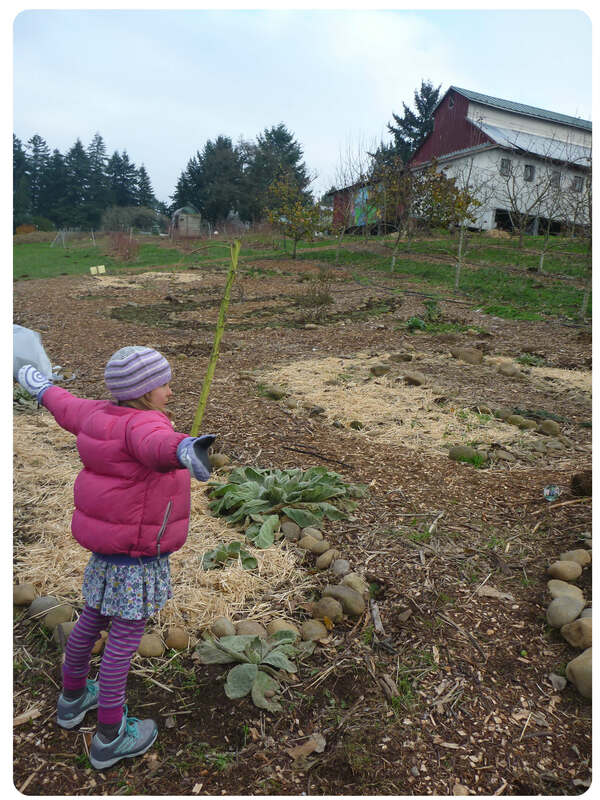 Grass roots projects are springing up like weeds – apt pun intended. So if it’s happening somewhere, I bet it’s happening elsewhere – if you know about something like this, or someone wanting to start-up, PLEASE let us know. These people should be put in contact so they can learn from and support each other! As we hoped might happen, we were happily directed to our first unplanned farm-stay at a little place called “Ruffy”, about 2 hours north of Melbourne. Thanks to Chris from Green Onions, who told Michael about one of their suppliers, saying if you want to see farms, you should definitely see that one – they grow the best peaches. And he didn’t just mean for the area, or last season – he meant the best. Ever. So Chris gave us their contact details and Michael put in a call. After lots of discussion about good practices for farming and living today, and much reassurance that Michael was indeed not trying to sell them something, we were invited along for a visit and to pitch our tent for a while. An invitation to ‘Ruff it’. Driving into the area reveals beautiful horse stud flats and hilly green pastures. 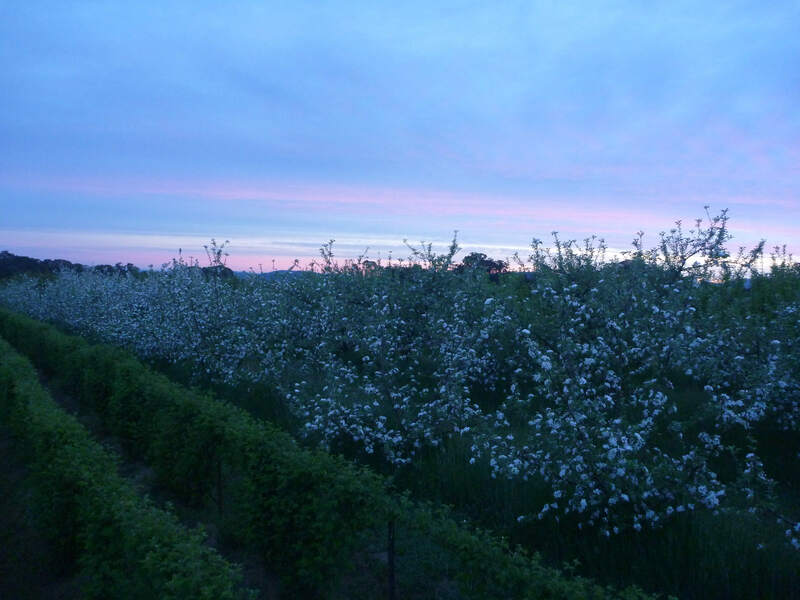 The farm – Mill Springs Farm – belongs to Adrian and Valda Martin, who come from a long line or farmers and orchardists on both sides. Valda welcomes us in for a good old country cup of tea before heading up to the orchard to meet Adrian and having a look around. 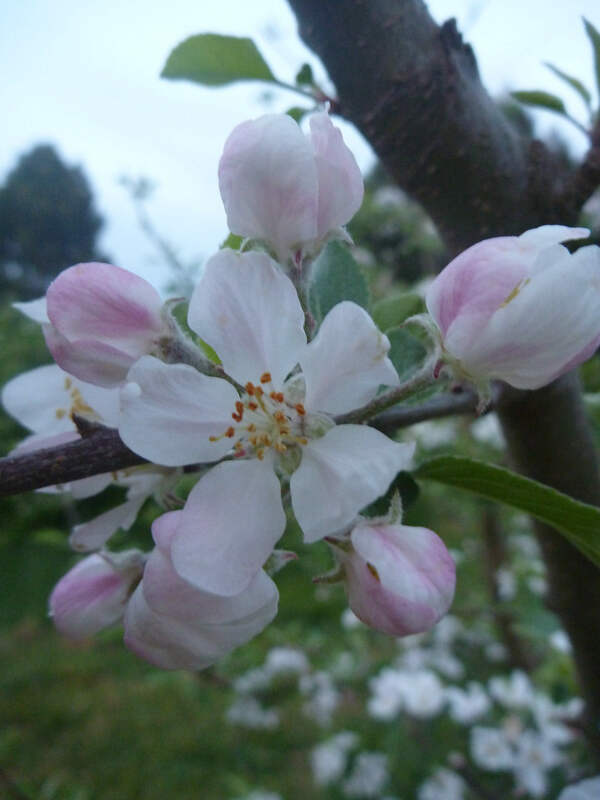 The farm’s main produce is bio-dynamically grown fruit – think beautiful stone fruit, quinces, apples and boysenberries. They also grow olives for oil, sheep for meat, have free range laying hens and are delving into grain. 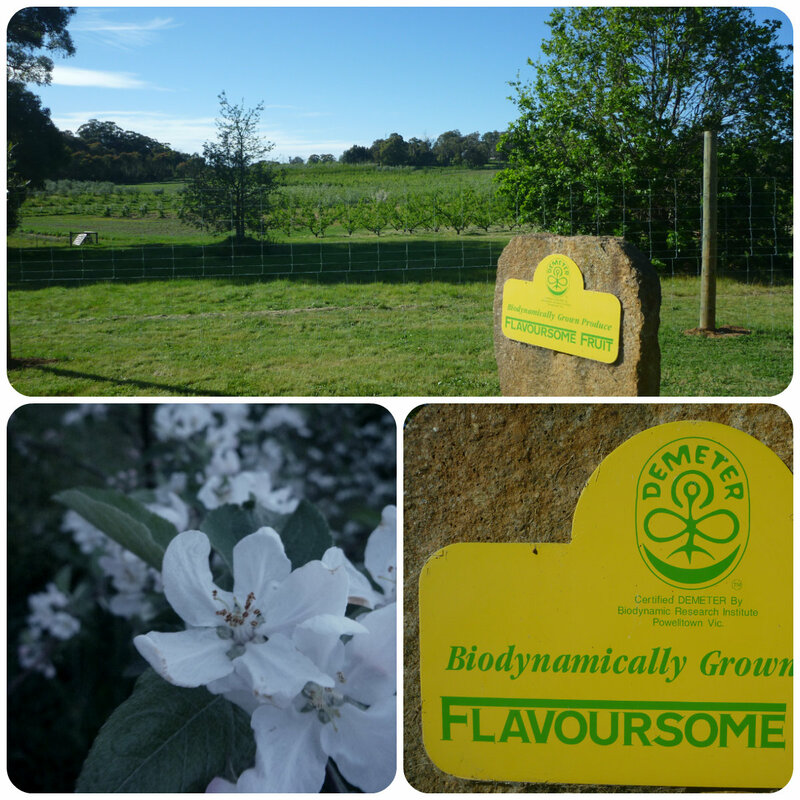 Everything on the farm is grown biodynamically. specifically to the demeter standard of biodynamics which, analagous to the off shoot of dialects from a common language, holds a particular way of applying the biodynamic principles Rudolf Steiner indicated nearly 100 years ago. The Martins have been using this method for about 20 years now. The [demeter bio-dynamic] system is not simply a replacement of synthetic chemicals and artificial fertilisers with ‘organic’ substitutes. Instead the farmer must learn to think and work biologically. When I asked why they chose biodynamics, different answers emerge. Valda says it’s because they had seen the effects of chemical use and therefore looked for something different to the conventional practice. 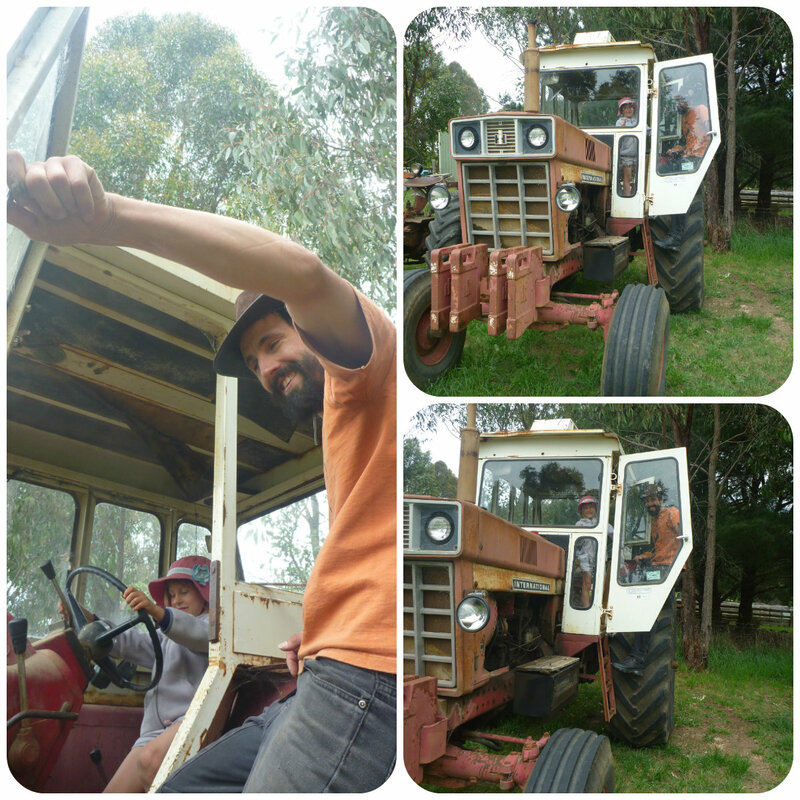 Adrian says it’s because of the simplicity – it is how people used to farm before industrialisation. He likes the fact you can do it yourself without relying too heavily on technology or buying inputs. As well as taking the time out to chat with us, the Martins very kindly offer us more than we could have hoped for in the way of facilities, including some land to perch on for a few days. 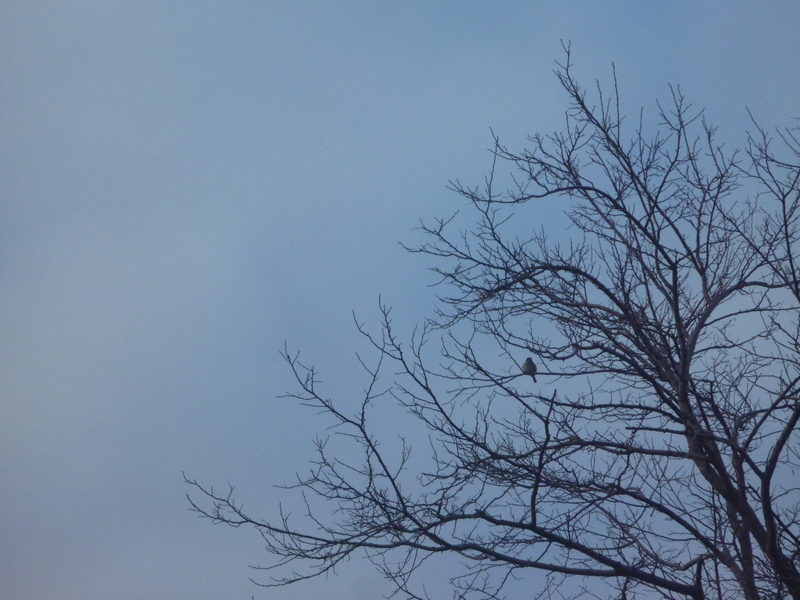 It is a beautiful place to stay – with trees, life and birdsong rounding it out. I really enjoyed the way things unfolded there: Michael and I each found something to help with; Emma flowed between farm activities and contented alone time and we got to know the family a little more through tea, chooks and conversations. Chris described Adrian as just one of the most genuine people you will meet, I wholeheartedly agree. What a good old fashioned country farmer – quiet, but kind to the core, and full of common-sense wisdom. Valda, his wife of several decades, is quick to point out that Adrian doesn’t go on a lot about things (skyting, as they call it), and is overly humble about his level of knowledge. He obviously makes up for it with his openness – all you need do is ask him a question. Valda is remarkable in her own right. Generous with a no-nonsense attitude and sharp as a tack. She uses her passion for needle & thread to bolster several charity projects, including hospital and prison projects for support and rehabilitation. As we look at her lifetime of crafting and contributions I realise just how much traditional arts and crafts can be a vehicle for healing, purpose and community. Like most farmers, they work hard – and mother nature throws a spanner in the works regularly. So why do they choose this difficult life? And why is there such a renewed interest in joining them? My own suspicion is because it’s an honest profession which provides a real and tangible connection to the world we live in. 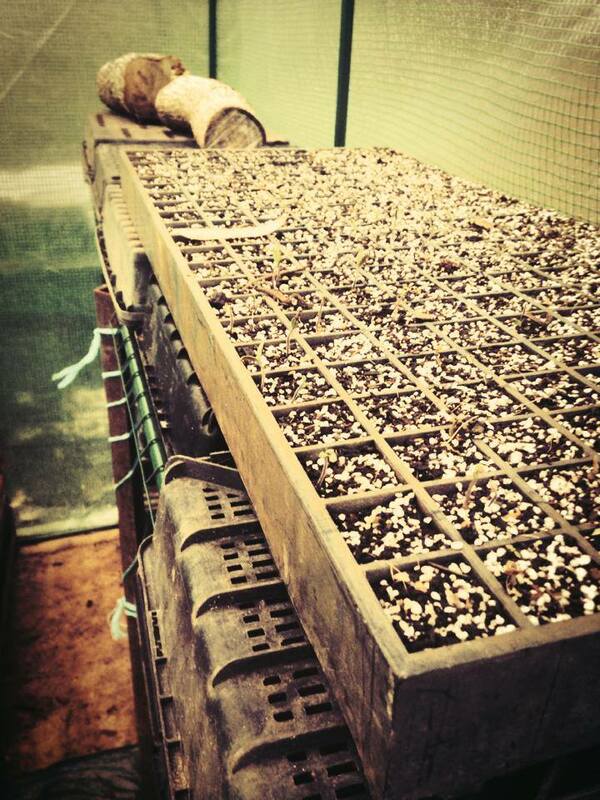 For Adrian, it seems there is a satisfaction and purpose inherent in growing things for others. He says he gets pleasure from growing the best fruit possible. And he has no plans to leave – intent on continuing until his body gives up. This experience left me feeling incredibly grateful. Firstly, as you might expect, grateful for seeing their example in farming – Adrian certainly made a good case for skipping ‘organic’ all together and going straight to biodynamics. But surprisingly, even more grateful for having just met them and their family – it instilled in me something that Michael already had a healthy faith for – the good nature of people. I felt like they were good people trying to do good things. And they met us as strangers, showing great generosity and openness. Thank you! It’s like a web – once in, you get tangled up in all sorts of wonderfully interesting threads, all connected together. And so much so, it can be hard to get out! Not that I imagine many people want to move away from this kind of life once they find it – more like once you start learning, you can’t stop. Maybe its more apt to describe it as some kind of enchanted garden that has seemingly endless nooks and niches to discover. The tricky part being, to navigate your own path. handcrafts like: basketry/weaving; spinning yarn; knitting/crocket; sewing….. I also wanted to talk about the Local Growers Collective here in Adelaide too – because it’s a great initiative. Essentially the ‘GroCo’ (as you will come to know it) is a network of people with an interest in growing – in any form that might take: currently growing; wanting to grow; novice; expert – whatever, it’s all good. Those who can, come together for a meeting, (about every six weeks), somewhere in Adelaide. The format is casual and normally includes some type of workshop, tour or brainstorming session at a member’s property or one of interest to the group. It’s all topped off with a share dinner and merry socialising – voila, recipe for goodness. So if you are in the area and would like to come along, or just want know more, contact Steven on 0421 816 106 or hoffna@gmail.com. Thanks Steven for bringing us the GroCo and happy lifestyle addictions everyone! This weekend we headed down to the big smoke for the Edible-izing Adelaide event. What an awesome day! We had so much fun setting up, serving drinks and chatting with people doing great stuff. 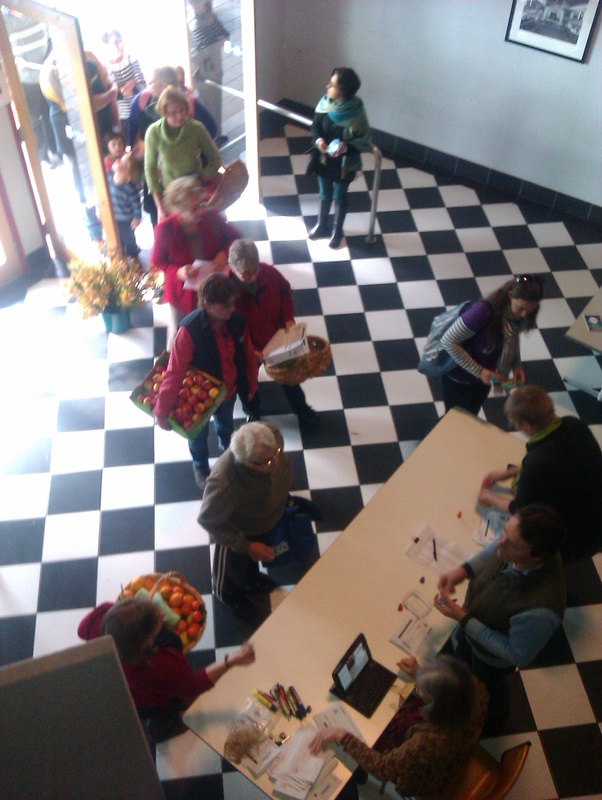 The event was all about connecting, conversing and learning about local food & community. 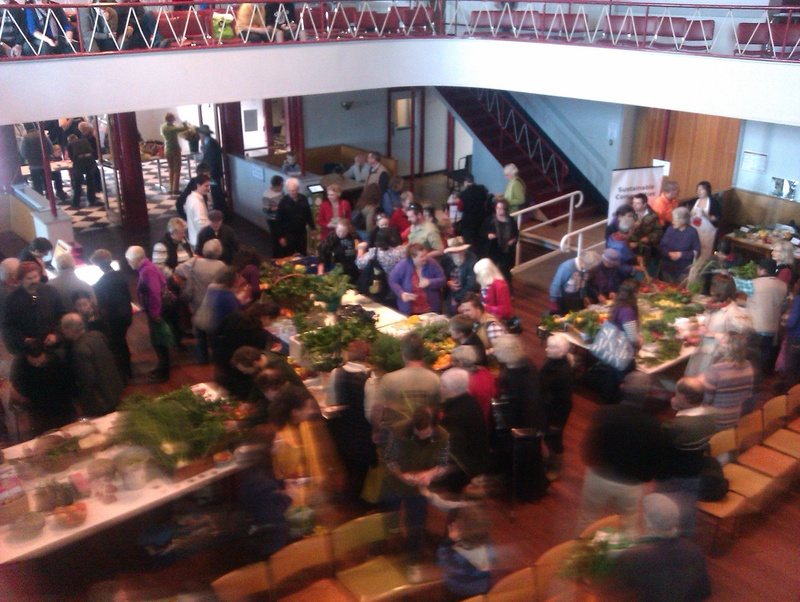 Those that were lucky enough to book a ticket, before the free event hit capacity, had the opportunity to meet over a massive produce swap, try some local beverages, hear a host of super interesting talks (see below) and ‘meet and greet’ with Sophie and Costa from Gardening Australia. 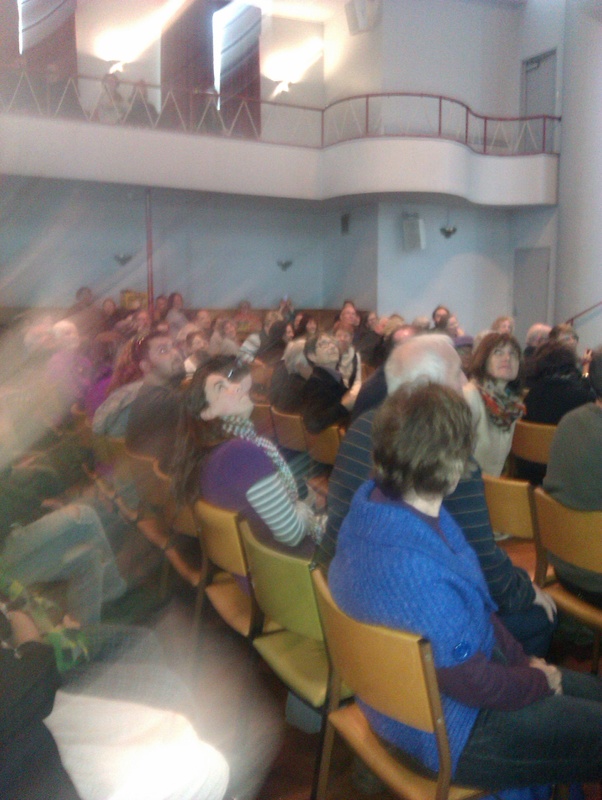 Phew – they packed a lot into a Sunday afternoon! the solutions to our problems lie within our own hands. I want you to take a little time to read those three things again. Go on – really. They’re big. They may sound cliche but I think we are seeing more and more that they are brimming with truth. Don’t let size, or any other barrier for that matter, stop you from trying your hand at producing your own food. Now that we know [about healthy food and lifestyle], let’s increase the communication and participation. And how is this for an interesting fact – apparently the study of Botany (i.e. plants) used be a standard inclusion for training as a Doctor! Food really was their medicine. Next up were the event organisers and founders of Ripe Near Me, Alistair and Helena Martin. Helena persevered behind the scenes while Alistair talked us through the Ripe Near Me website. For those who are unfamiliar, it is an interactive food map – people with produce list it on the map and then others can search and see by area or food type. 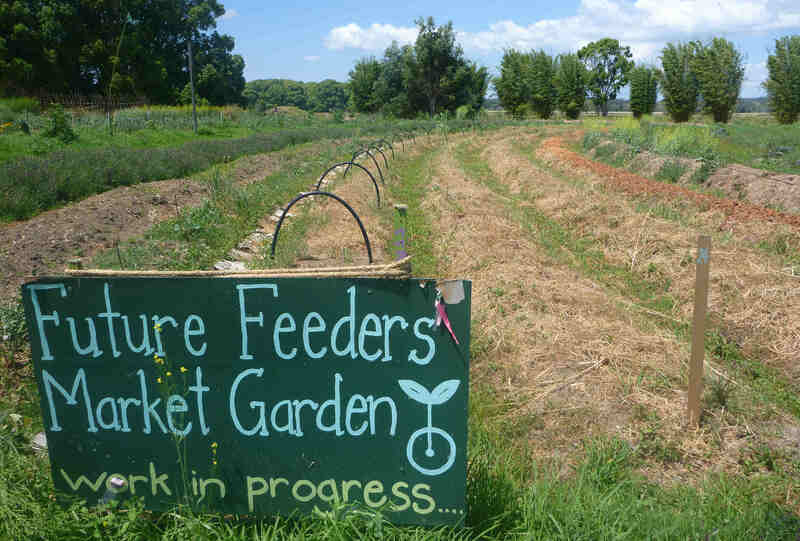 Originally conceived as a way to stop food going to waste, it is also a great way to buy, sell or swap produce and connect with the community. They are currently running a crowd funding campaign to start working on the above wishlist – highly recommended – we have already contributed, but after hearing the story and future plans today, we’ll be pledging again! A live hook up to the website showed everyone how easy it was to navigate – and having done it myself, I can say for sure that adding produce and searching for it is super easy. While seeing it in action was great, Alistair’s live elevator music while we waited for the log in was even better! Best of all though was the idea that Ripe Near Me could help us reclaim our food system. And do it in an old fashioned way – through home growing and exchange in the community. 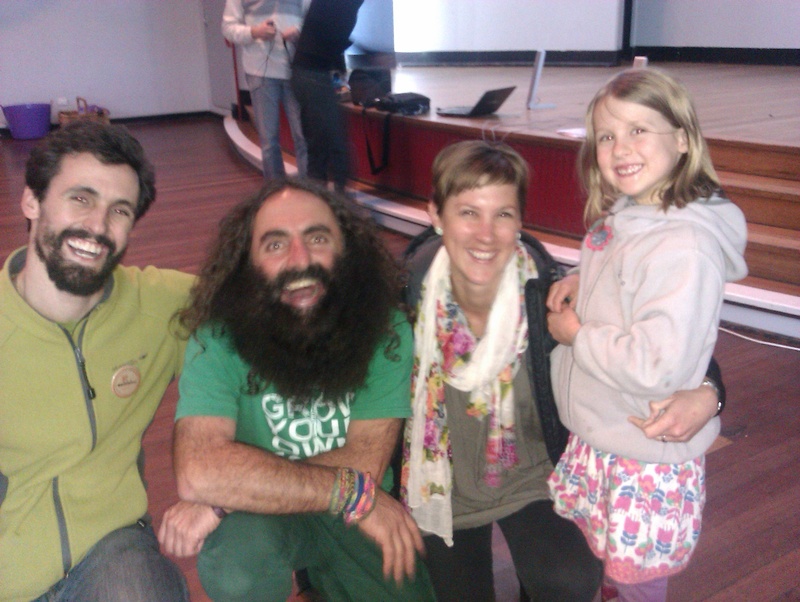 After some door prize and Costa look-a-like competition shenanigans, which involved lots of flying vegies and fake bushy beards (true story), it was time for the Gardening Australia gurus to deliver some genius. Gardening, and all that comes from it, is vital. It needs to be a cornerstone of our culture again. Rounding out the day was the unforgettable Costa Georgiadis. With trademark passion, fun and eccentricity Costa delivered a pep talk to reaffirm our own power. Power to change things for the better through vocabulary – using the right words, getting people interested, weaving these issues and the solutions into story form. Forewarning: here comes my, apparently customary, digression for today. Story telling – it is SO important (and it amazes me how often I find this being reiterated lately). It seems to me that stories, in all their forms (pictures, songs, dance, patterns/symbols, myths, folk tales, fables) are the lifeblood of cultures, and for good reason. Traditionally, this is how they educated and retained vital information, for example info like location and navigation methods for the pacific islanders (Bill Mollison talks about this in one of his lectures on patterns). It is also the way to communicate the very values a culture is built upon – just think about all the lessons delivered in Aesop’s fables (there may well be a better example, however that is what comes to mind at the moment!). But the real genius is in how we can physically take in story forms differently to words and lectures – they just seem easier for our brain to digest and assimilate. It’s the same principle behind why waldorf (steiner) schools use arts as the teaching vehicle all through the primary years – young kids have an underdeveloped left side of the brain and therefore pick up pictures, song, story and movement much better than any writing on a blackboard. All in all, communicating through stories leads to a much deeper understanding, connection and therefore memory of the message stored within them. And so it seems, I have a *few* thoughts on story telling (who knew – I certainly didn’t until now!). 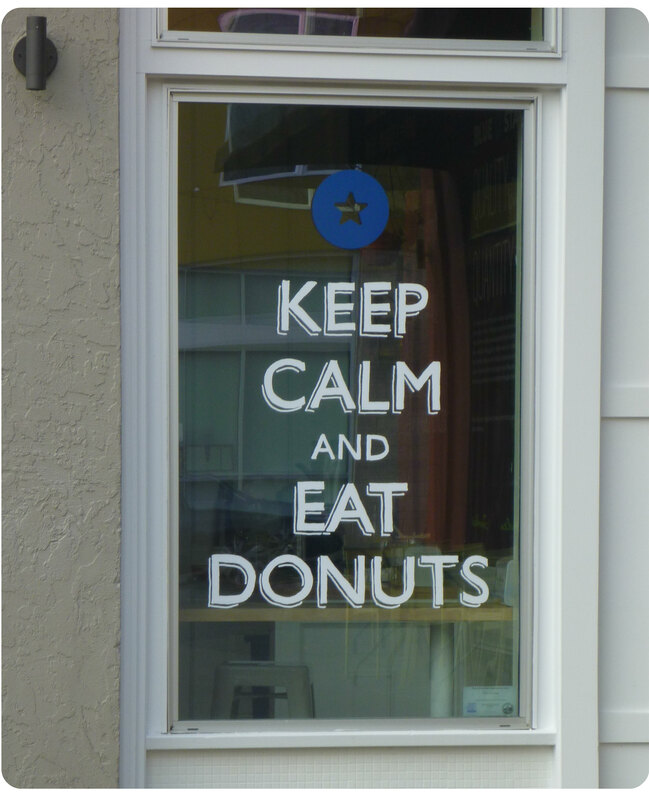 See – that is why writing is so therapeutic, you just never know what is going to come out through reflection. Apologies for the lack of supportive evidence in that section too – you will just have to call it my opinion for now! Realise how strong this movement is and the change we are making.